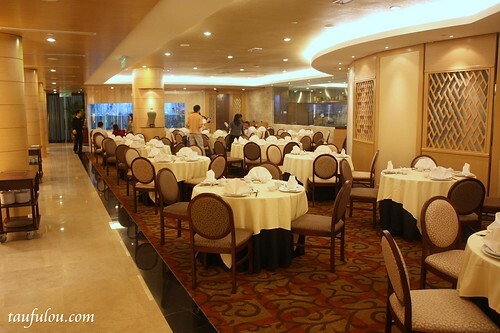 I have always wonder how would Chinese Fine Dining would taste like with its exclusive interior, expensive and exclusive ingrediants that are prepared in the meal not until recently I had a chance to try it out at this very hidden gem at China Treasure, Sime Darby Convention Center, Bukit Kiara. 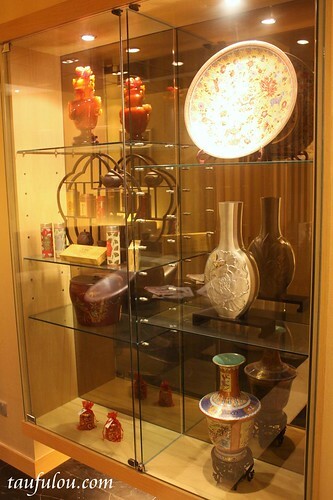 China Treasures, the well-love Halal fine dining Chinese restaurant had newly reopens its door in new style that previously had been closed in mid-July for its renovation work that had now with its new outlook of contemporary decor influenced by oriental elegance and now can accomodate 150 person. 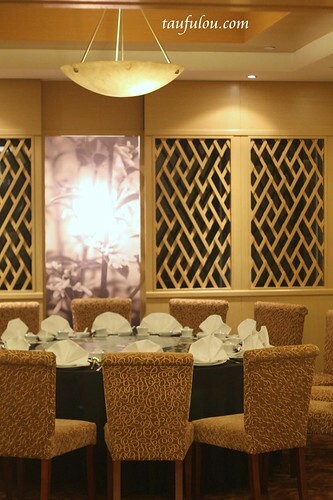 With this exclusive private rooms that can accomodate 8-15 person each that is perfectly suitable for both corporate and family dining. 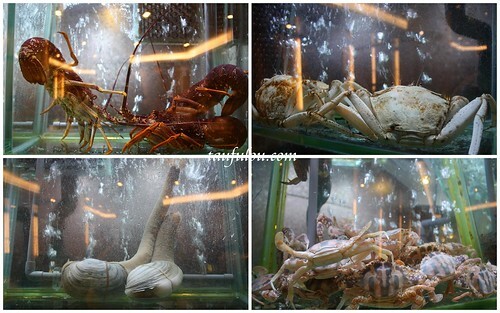 With its large indoor aquarium, filled with fish, oyster, lobster, prawns and crabs to ensure its freshness that customer able to see. 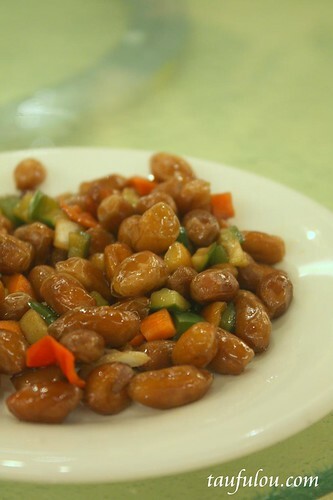 The peanuts was serve upon our arrival yet its something that I do not know how to enjoy that the taste doesnt suit my taste bud. 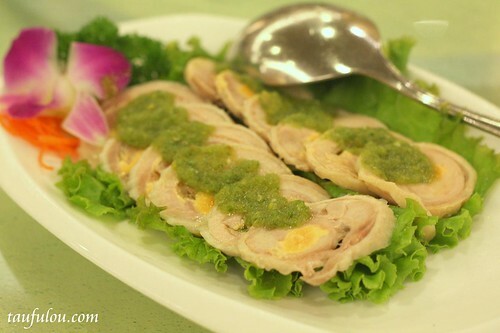 ‘Sliced Cold Chicken topped with Green Chilli Sauce’ this is a surprise dish to me as I did not expect the meat to be cold. Soft chicken slice topped with the chili is something new to me and I find the taste is a bit unique cold and a bit of sour spicy. 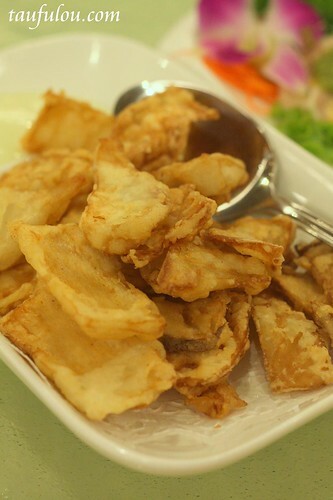 ‘Deep Fried Mushroom with Wasabi Sauce’ is something that I like very much as a snacks that are fried crispy yet dipping it with a well blended mayonnaise mix with wasabi is too hard to resist. 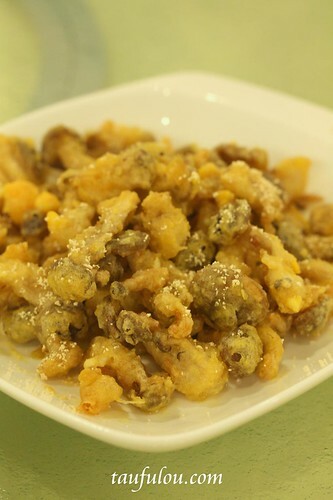 I love a dish when it is fried along with salted egg, as its not an easy dish to be prepared and not many people can do it and cook it well but ‘Deep Fried Shimeiji Mushroom with Salted Egg’ is prepared well, with the taste of some buttery aroma and you can taste the saltiness of the small little crush of salty egg that some of it is like melting on my tongue, simply delicious. 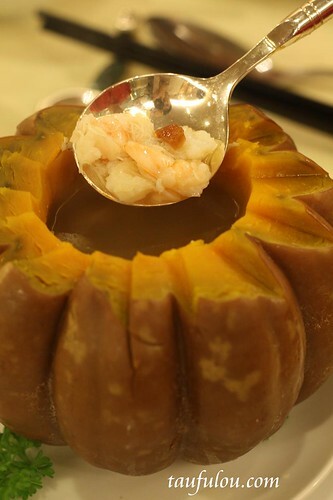 I have seen how fried rice prepared and serve in pumpkin but never knew that they do serve the soup in this way too.‘Double Boiled Seafood Soup in Whole Pumpkin’ is something clear that you are looking forward to start off with with clear soup and pieces of seafood. 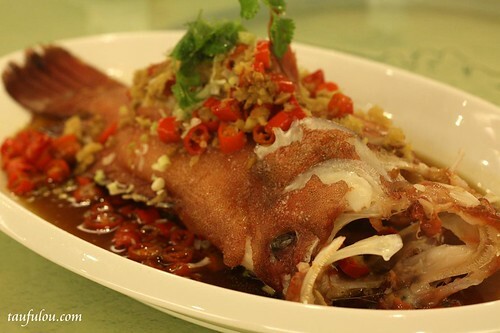 ‘Steam Live Star Garupa’ as the look of the fish might look big to me and I thought that the meat is going to be solid but it prove me wrong, as the fish meat is soft yet steam it that it doesnt have the fishy smell taste good with the simple soy sauce. 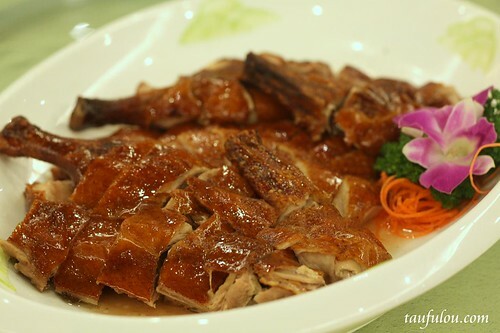 I always love duck ‘Roasted Duck Hong Kong Style’ is perfectly well roast on the skin which is crispy yet the meat is not too solid that dip along with the sauce in it, its something that I like very much. 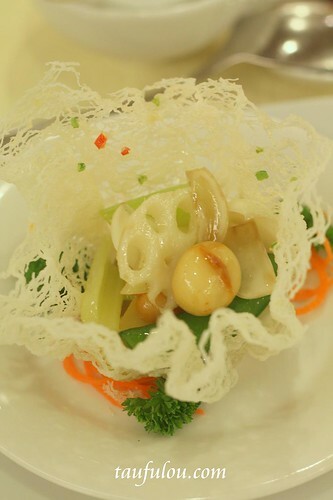 ‘Sauteed Seasonal Vegetables with Garlic’ looks very nice and presentable that the taste is nice. 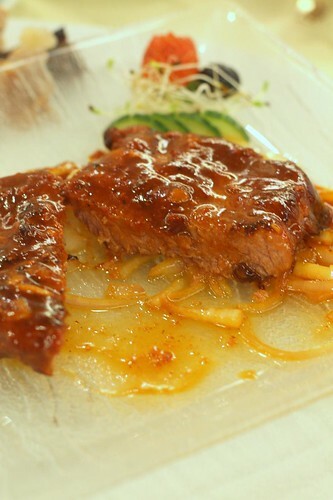 I enjoy ‘Pan Fried Beef Cutlet toasted over with Mangolian Sauce’ as the tenderness of the beef yet it wasnt cook well done. As I cut through it, can still see the some raw and blood part of it and with the mogolian sauce, only one word came out from me, GOOD! ‘Sauteed Lamb Cubes with Sliced Garlic ‘ as I love how the garlic is fried along with the lamb with its aromatic garlic stick on the lamb cubes that makes it flavourful. 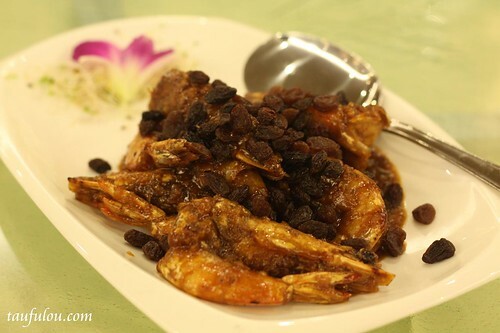 I have never tried out a dish that add on raisins but ‘Deep Fried Prawns with Portugese Sauce’ is exceptionally good that the prawn meat is solid that shows the sign of freshness and never thought that the sauce and the raisins would combine so well. 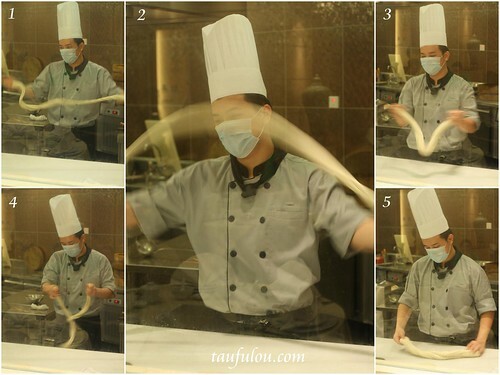 The chef show us how La Mian which are freshly pulled noodles that are made upon orders that available in different styles. 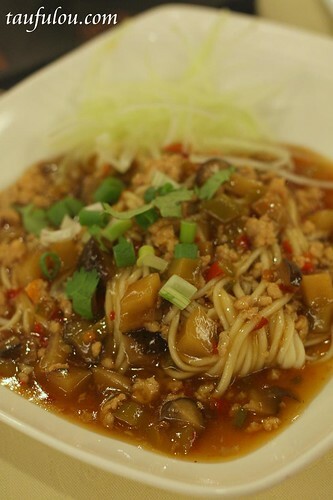 Just having seen it pulled and prepared by the chef ‘La Mian with Minced Chicken and Mushroom in Spicy Sauce’ was serve abit colourfull with the ingredient cook along with it. 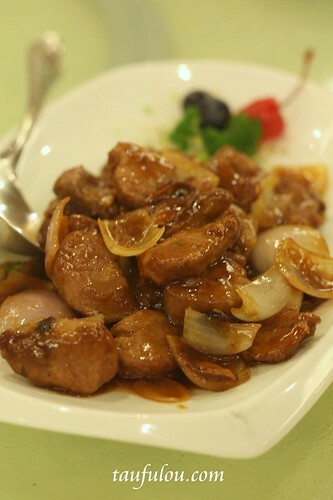 I just finish it within 2 mouth. 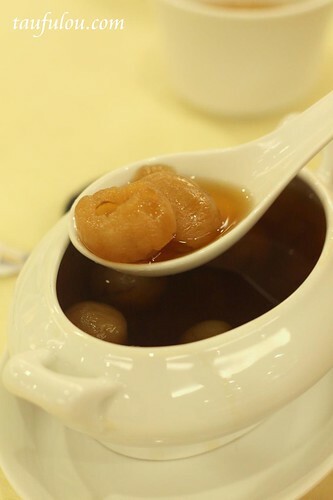 ‘Double Boiled Luo Han Guo with Winter Melon’ which I love the longan very much, the sweetness of it had boiled into the soup which is not too sweet yet abit hard and chewy texture and the soup is very aromatic that is not too sweet that comes to my liking. 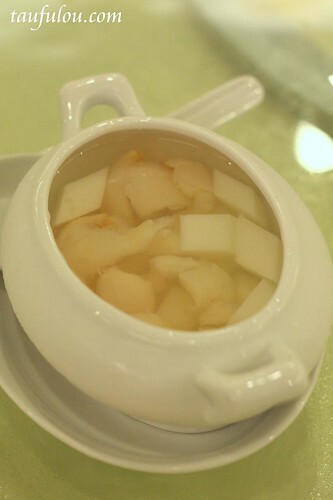 If you prefer something light in taste ‘Chilled Almond and Lychee’ is the one you would be looking in the menu. 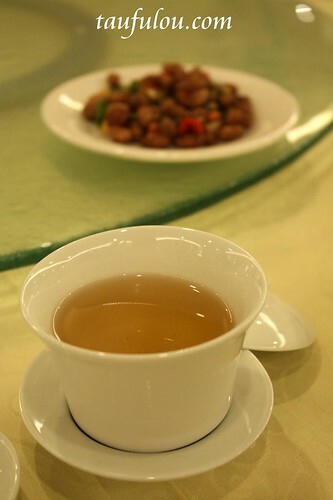 Soft almond cubes and and mild sweetness of lychee that makes it a good combination is something that I enjoy. 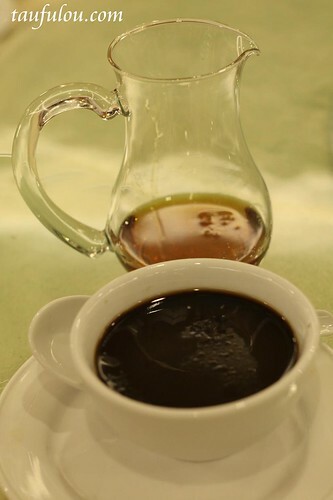 I am always a fan of ‘Chinese Herbal Jelly’ yet this had added into my list of herbal jelly with its herbal bitterness is there, yet if you cant take too bitter of it, the sugar syprup is prepared to rescue you. 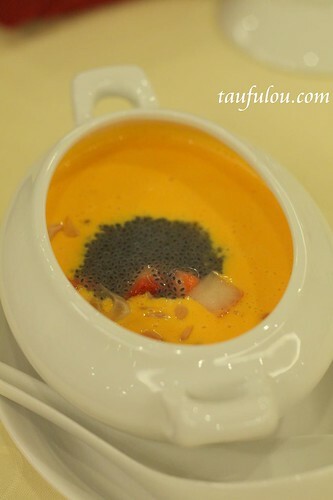 ‘Chilled Mango Cream with Pamelo and Sago’ is very satisfying after a great meal, that you can bite the biji biji of the watery pamelo will burt into your tongue and combine with the taste of mango that makes me say it out…Good. 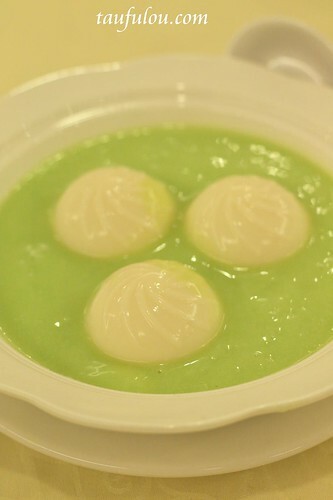 I have never like avocado but this ‘Chilled Avocado Pudding’ had made me take 2 plates of it. 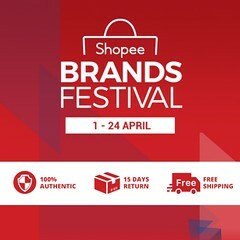 Something which is kinda hard for me to resist with its smooth pudding texture yet added on with the flavourful taufufa and it was served cold. 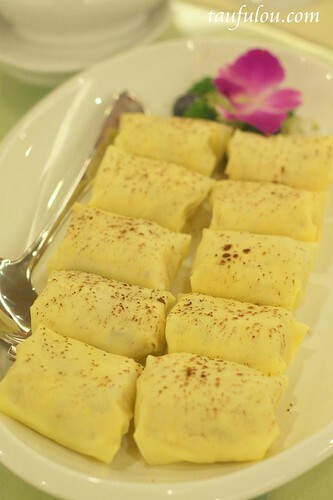 Last and for all ‘The Durian Pancake’. 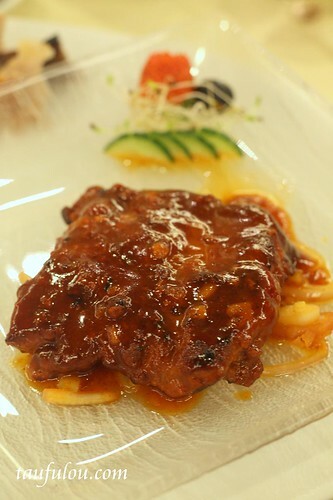 I would say, one of the best I have eaten so far, that if I were given a chance to grab the whole plate I would do it. 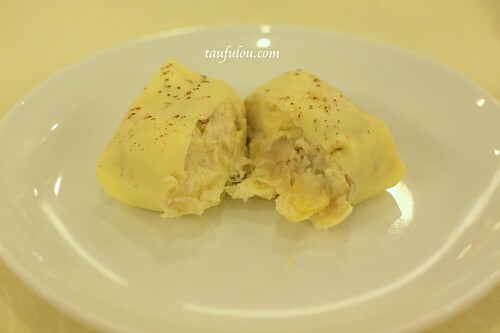 Love the very flavourful durian base as the whole ingredient that were wrapped around the pancake and was serve cold, makes it taste like I am actually eating durian. 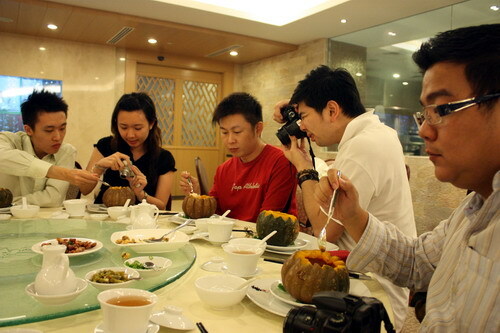 After such a great meal, without Chef David we are not able to stand a chance to try out the great food. 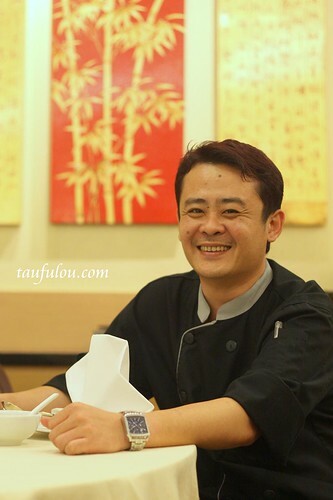 What can I say more that I enjoy my meal with delicious food at a nice environment, great friends that share our laughter all night long. 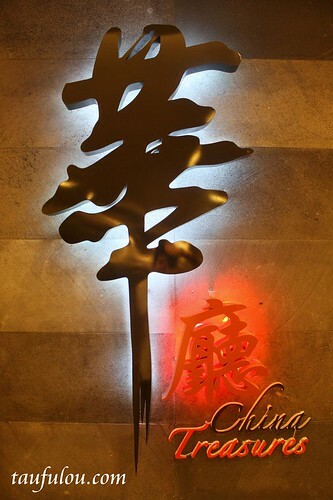 Surely I do not mind to come here again for dinner. 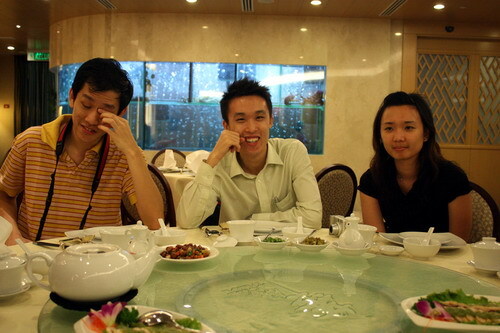 Dinner: 6.30pm to 10.00 pm.